Over the last few months I have been working on yet another new language, this time for programming FPGAs. This post will provide a short introduction to Fairylog by way of building some custom hardware to read a pair of Nintendo pads. 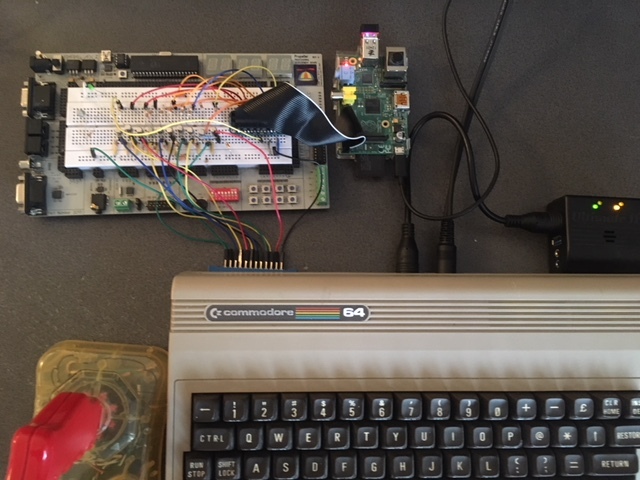 In this post I will describe a small electronics project designed to enable the remote programming of a real Commodore 64 that is switched on and running. To achieve this, several parts are involed, utilising some custom circuitry and communications protocol, a Raspberry Pi, a C program, a 6502 assembler program and a little F# program to finish it off. In this post we will see how asi64’s (Racket’s) macro system can massively reduce the amount of 6502 assembly code you have to write, beyond what a typical macro assembler can achieve. In this post we will see how asi64 is more than your average macro assembler, by combining arbitrary disk io, functional programming techniques and code generation alongside your typical 6502 assembly code. 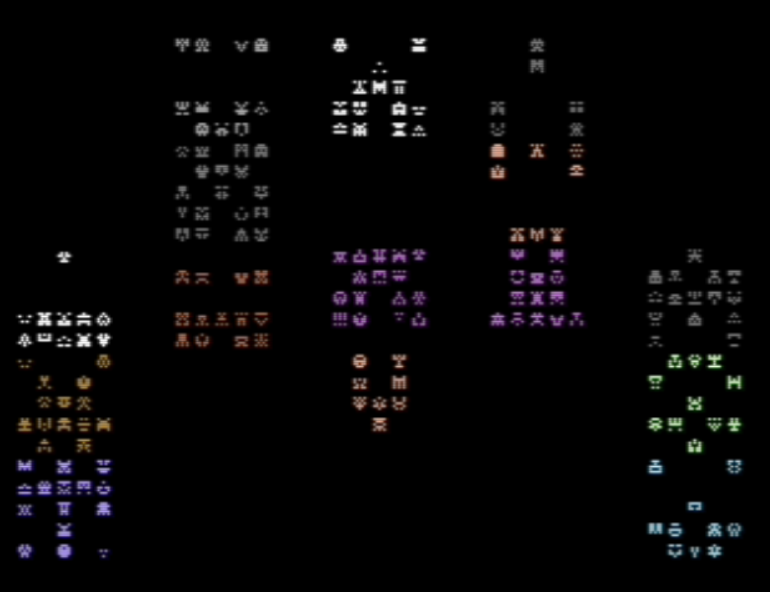 The aim is to create a very simple sprite animation viewer, that writes the resulting C64 program by interleaving file parsing and machine code generation. This post describes a memory allocation strategy I call a “fixed” size memory pool. 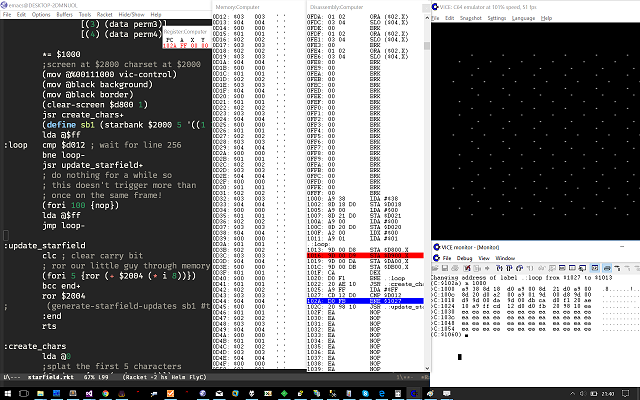 Drey executes programs written in a much higher level language (typically Scurry), its purpose being to remove all low level details and provide an experience for the author focused on game logic only. As such, the virtual machine implementation must manage the memory itself, not knowing how much of what size memory it will need up front. Since the system calls malloc/free are relatively slow and will fragment the heap, especially for lots of small object allocations, a memory management system will be required. The previous post layed the foundations of creating a language and “compiler” using Racket macros. This is all very nice, but utimately it is just a bunch of macros. The “language” itself doesn’t have any form of enforced semantics. You can introduce whatever syntax and macros you want, and use them however you like, even if it makes no sense at all. Whilst this is nice in a way (and can lead to some .. interesting .. “features”) it is often more of a pain than it’s worth. Most of the errors we make in our day to day programming are picked up immediately by the background compiler, or the full compilation. Silly things like “clipboard inheritance” or typos attempting to use bindings that aren’t in scope are high on the list of culprits here. In this post we will see how Racket can be used to help out by doing some lexical scope “analysis” in a slightly different way from a traditional compiler. We will also see how Racket can redefine its entire notion of function application, which will allow us to introduce some very nifty new syntax into Scurry itself. This post will be about Racket macros. As a delivery mechanism, I will be using bits of my latest project, which is a virtual machine designed for emulating multiplayer networked board games via ZeroMQ. drey-vm executes compiled bytecode files - much like the CLR or JVM - using an instruction set of my design. The design of the computer is out of the scope of this post (maybe another post if people are interested in it - let me know in the comments!?) suffice to stay it is written in D and is mostly a stack based computer, supporting functional and imperative programming. It has a string/object dictionary as its primary type,like lua and js. Much like asi64, I wrote an assembler for the virtual machine in Racket. 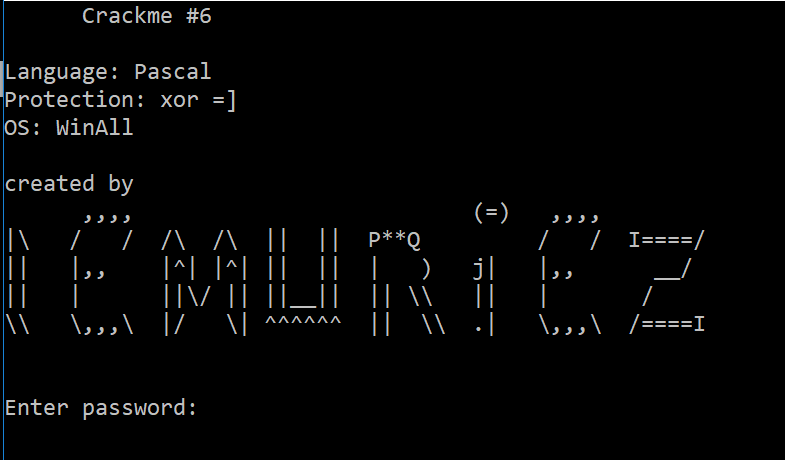 On top of that assembler I can now build a language (scurry). To start with, I am just creating a Racket language that is still a lisp - Racket has the fantasic power of being able to build macros on macros, gradually introducing higher level syntatic forms. In this way, I don’t really need write an actual compiler. Racket gives me the front end of the compiler for free (being lisp), and the macros-over-assembler method is a very fun and flexibile way to build up a language. In my last few posts, I detailed some of my experience learning 6502 assembler for the Commodore 64. I started off using DASM, which seems to be quite a nice assembler, severely lacking in documentation. Then I discovered the very awesome KickAssembler, which includes a full blown scripting language on top of java, lots of other very nice features, and great documentation. This made me realise what a powerful modern assembler could be like - and perhaps I could go one step further with it. In the last post we discovered how to decode 15-bit symmetric invaders into a chacrater set. This time around we will make them fractal! Then, the process can be repeated again, drawing an even bigger invader which is formed by drawing even bigger “pixels” which are composed of the size 2 invaders, like this!